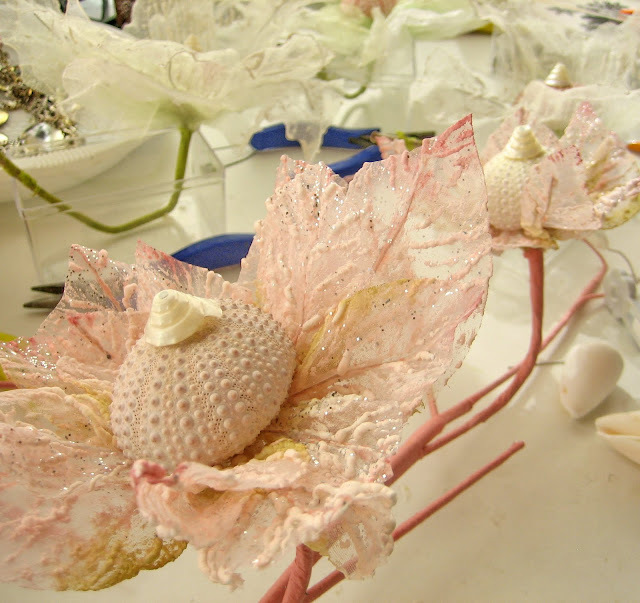 This week's creative space involves sea urchins again, but this time we have been working on something very special! The result will be in the StaroftheEast shop later today. It is amazing the mess we create while creating! We have a 14 meter long table, and still every centimeter is occupied all the time! It seems that we are constantly busy with making a mess, is it just us or is a mess essential to be able to create? P.s. Update about the contest of Nathalie, she/we won with 1 vote in the lead!! Thank you for your votes!! Wow, looks amazing! very curious for the result! 14 meters? Wow, that's some creative space! Looking forward to the result. Pictures look great!! We have the mess in common. Wow! I'd feel like a child in a candystore if I saw your creative space! Definately creations requires a little mess, but I think it's the most beautiful mess of all! I too have "14m long table" envy! Wow. 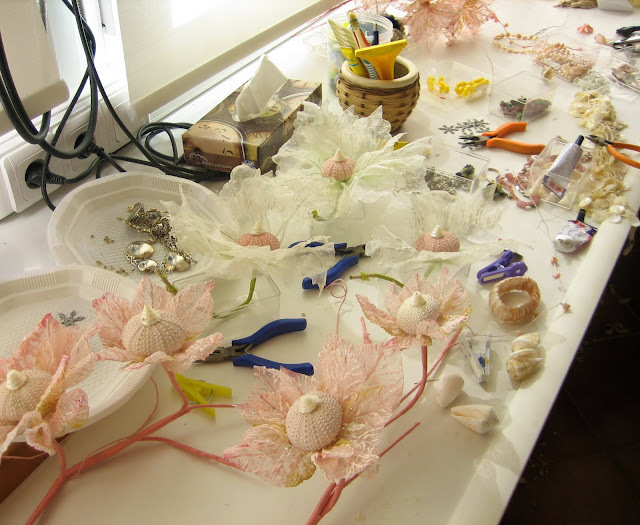 The messy table is a sign of some very creative minds at work. Can't wait to see the finished pieces! Waiting to see what comes out of this fabulous mess! looks very interesting - wondering about the outcome! This looks exciting and beautiful! Really gorgeous! I love the colors! It looks wonderful now already! Can't wait to see the final result! Good luck and many greetings to your mom! I think the mess is necessary to create. How can you find new ideas without all the stuff you have lying everywhere? And the sea urchin creation looks awesome!